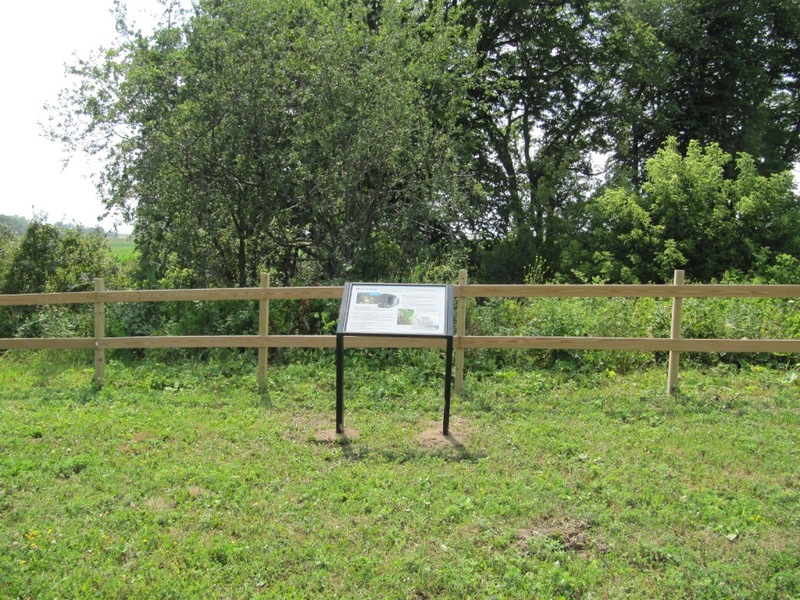 View the new educational signs in the Waukon City Park! 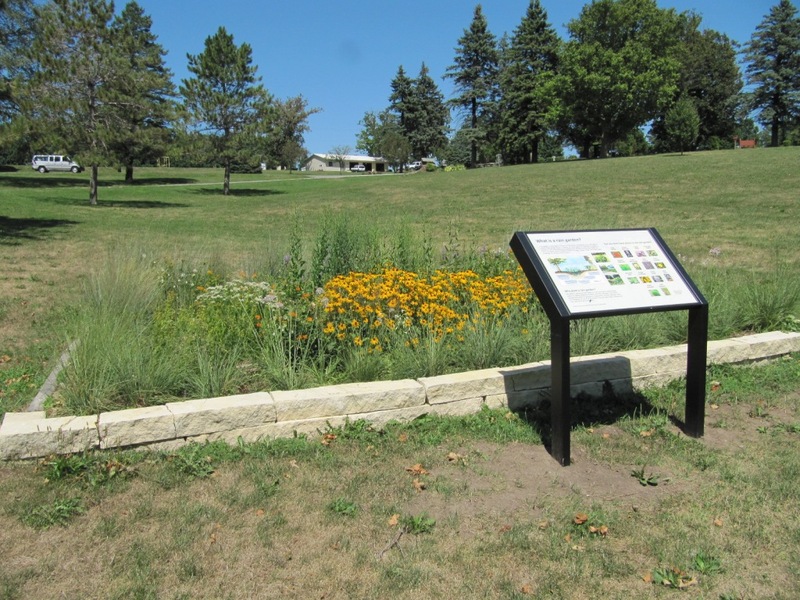 Five new educational signs have been installed throughout the Waukon City Park with funding from the Indian Springs Watershed Project. While you’re walking through the park, take the time to stop and view them. You can learn more about watersheds, rain gardens, conservation practices, karst topography, and oak savannas. Below are a few pictures of the signs. The sign shown at the left is located by the rain garden, near the Thompson Shelter. It shows all the plant species that were planted in the rain garden and also describes the purpose of a rain garden. 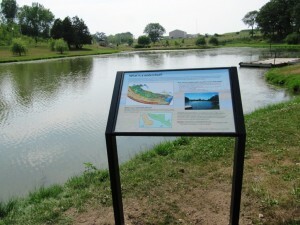 The sign at the right is located on the north side of the pond in the Waukon City Park. It provides information on watersheds, water quality, and the water cycle. The sign at the left is on the west side of the campground, near the sinkholes that were recently fenced. It provides information about karst topography and the common features of karst topography (sinkholes, springs, losing streams, etc.). Several of these karst features are found in the park. When you are walking through the park, see what features you can identify. There is also an educational sign about conservation practices, but urban and agricultural. It is located on the western edge of the park, near 2nd Street SW, just above the sediment basin that was installed last year. The fifth educational sign is in the new park addition, on the south side of 11th Ave SW. It is located by the western parking lot for the new trail and provides information on oak savannas. There are some nice old Bur Oaks located in the addition and part of the addition was planted with prairie seeds earlier this year. We hope to return it to an oak savanna-like area. If you haven’t walked on the new trail yet, head on over there and look for the new educational sign.